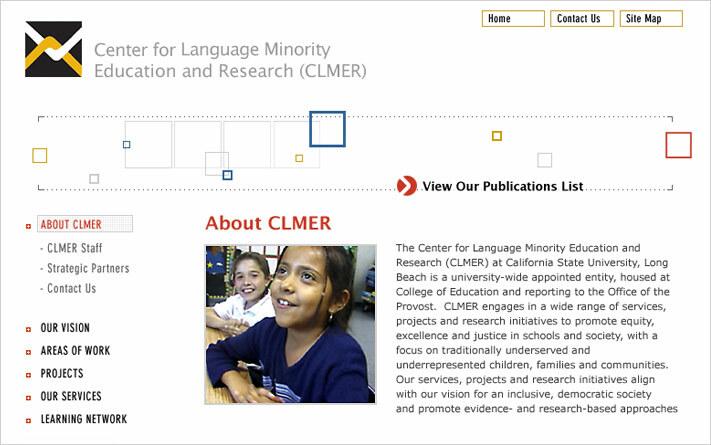 The Center for Language Minority Education and Research (CLMER) at California State University, Long Beach is a university-wide appointed entity, affiliated with the College of Education. CLMER engages in a wide range of services, projects and research initiatives to promote equity, excellence and justice in schools and society. CLMER engaged Cabengo to re-design and re-develop its static brochure site website into a dynamic online educational resource. 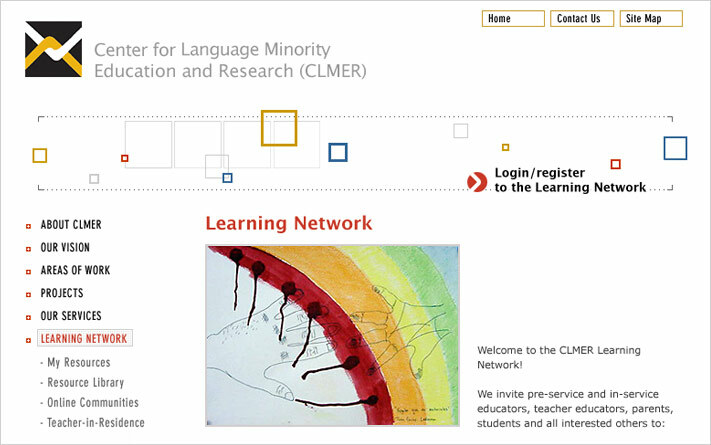 The website features an extensive Learning Network and resource library with ratings, recommended resources, and CLMER “pathways”, which are saved searches created by staff. All categories and subcategories are created on the fly. All new resources submitted via html forms are automatically translated into XML, and resources are then automatically transferred to GEM, a popular education portal. Registered users are able to specify their preferences, build their own “My Resources page”, and rate and submit resources. The site also features course curriculum and course registration. The administrator can create courses and course sessions as well as a unique registration form for each course using a web based content management tool. The system translates course registration data into XML and allows the administrator to download comma delimited and excel files for further use. In addition to extensive resource functionality, the site also features dynamic projects, publications, and news and events.